Thanks, well said. A whole lot of real people see the con game going on. The word INDOCTRINATION says a lot about the whole scam to me. Great comments banjokaz, and rhawk. I’m betting Lynn is a senior, because it’s only seniors my fellow seniors and I are hearing saying these stupid things. The young people certainly understand what a mess we have created for them. Continuing to ignore the true facts like these people do isn’t an option.I believe that what University Professors have been telling us for years is true, these seniors are cowards, they can’t handle the truth, it scares them so badly so they stick their heads in the sand and pretend it isn’t happening and are afraid of change. It’s why so many seniors are climate change deniers, refusing to believe the thousands of scientists that are right. This massive damage they see on TV scares them, so they make up idiotic comments to convince themselves not to believe it. My family had known the Klein family since the early 1960s and many of the Klein family members were a lot smarter than the Albertans who made Ralph Klein out to being a hero for what he did to this province. They automatically support anyone who attaches the word Conservative to their name and believe every lie they feed them, like they did with Klein and are doing with Kenney. The point is we are in this mess because of Klein. Here is something you might want to pull up and read. We knew Angie when she was just a infant and as she points out she didn’t always support her father, and neither did her grandmother Flo or grandfather Phil when Ralph was destroying this province, as they pointed out to us. 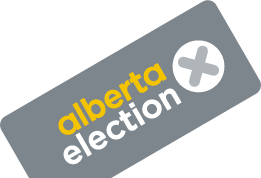 Global News April 30, 2015 “Daughter of former Alberta premier Ralph Klein supports NDP in upcoming election” As Angie points out Klein always considered himself to be a Liberal , as our family certainly knew, but used Reform Party Polices to destroy this province. Like Kenney he never was a true Conservative. In addition Angie points out that even when her father was in office she was supporting the NDP. She knew the flat tax was a disaster. Accountants and economists were telling us that during the oil boom Albertans were losing around $9 billion a year in tax breaks afforded to Klein’s rich friends. It was far more than enough to have kept our health care and education systems running properly without losing our doctors, nurses and teachers, but as we know Klein was deliberately trying to force Albertans into accepting a privatized health care and education system, like Kenney is promising to bring us. It’s the major Reform Party mandate, as true conservatives know. Make the people pay out a lot more from their bank accounts, so we have more money for ourselves and our rich friends. Alberta already has the highest percentage per capita , in Canada, of seniors using food banks, so why would you want to let Kenney make it worse? We were told in Edmonton that we have seen a 15% increase in seniors using food banks in the past year , and friends who volunteer at the food banks certainly agree with that figure. What I got out of that long winded nonsense was a lot of bullying and hate being spewed. I didn’t use the INDOCTRINATION word for nothing. Were you a professor by chance because that is what I’d expect from some of them? Now go back to your mama’s basement senior or not! I did it for one reason and one reason only to see what kind of a reaction I would get and I got what I expected, . ignorant seniors who don’t want to hear true facts, supported Ralph Klein and helped him put this province in the mess it’s in, as Lougheed called it a “Horrific Mess” and don’t want to hear the truth even if it came from Klein’s own daughter. It’s it amazing how the true Alberta conservatives knew what had happened to this province and voted in the NDP to put a stop to it and these guys want to to continue allowing phony conservatives, Reformers, helping their rich friends clean them out of their money and they think it’s wonderful. As my friends say “You can’t be any dumber than that”. Nice that you at least admit that you’re a typical troll. Keep on name dropping and enthralling us “deplorables”with your tales of travel to Norway and Alaska and anywhere else that you require to prove your ridiculous talking points. As for your “friends”, I highly doubt you have many with the amount of vitriol that comes off your keyboard and your “so much smarter” than us attitude. Unfortunately, you’re probably going to get your way and have us become a socialist nation because there are too many helpless, useless and self-loathing apologetic people nowadays who want the government to control all aspects of their lives. You will be in your Utopian paradise until the productive people’s money runs out, then what? I beg to differ “People are not born stupid”. Speaking of phony conservatives how about a name change to “all in socialist”. I can still remember when even Brian Jean declared climate change is real and is man-made.